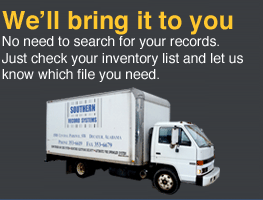 Decatur, Alabama’s Southern Record Systems can help take the worry and work out of storing your records. 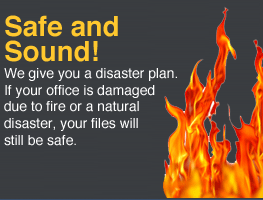 You can rest assured that your documents are safely stored and easily accessible, when you choose Southern Record Systems for your records management needs. 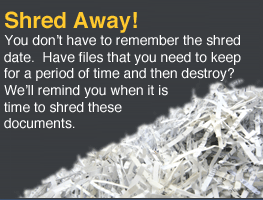 We provide archival and active records storage, as well as document shredding services and on-site storage trailers. Give us a call today at 256-353-6619 and let us show you how we can take the stress out of records management. ©2010 Southern Records System • Web site development by Red Sage Communications, Inc.